Allen & Unwin, 9781743317945, 208pp. My dog has demonstrated a grand theory about life's simplest activities. He acts out the meaning of life by actively living it. Do not think so much about yourself, he tells me. Know where you're going, and just get up and go. Be playful and joyous. 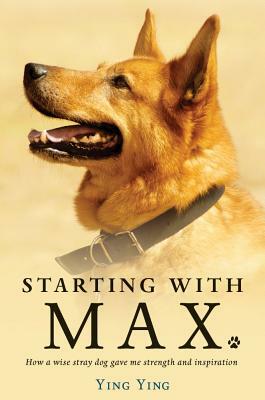 Starting a new life upon a move from China to Australia, Ying Ying and her family adopt a stray dog, the much-loved Max. As changes in Ying Ying's life bring frustration and sadness as well as surprise and joy, quite unexpectedly she realizes that what remains most constant in her life is her dog. Ying Ying finds herself driven by her dog to pursue a life of action and meaning, persistence, and determination. She must not just survive, but thrive, and it is her faithful four-legged friend who has become her source of wisdom and strength at this most fragile period of her life. This is not just another book about life with a dog, but a quest for deeper understanding of humans and their dogs. In her contemplation of her four-legged friend and all that he is, Ying Ying reflects on matters of significance such as love, faith, beauty, aging, mortality, and creation. Ying Ying taught Sociology and Criminal Justice at universities in Hong Kong before she and her family migrated to Australia. She is the author of two books in Chinese.